We ship for min. 4 pcs or more. Please contact us for shipping rate. Dimensions 65" x 39" x 1.57"
Canadian Solar‘s new SuperPower modules with Mono-PERC cells significantly improve efficiency and reliability. The innovative technology offers superior low irradiance performance in the morning, in the evening and on cloudy days, increasing the energy output of the module and the overall yield of the solar system. 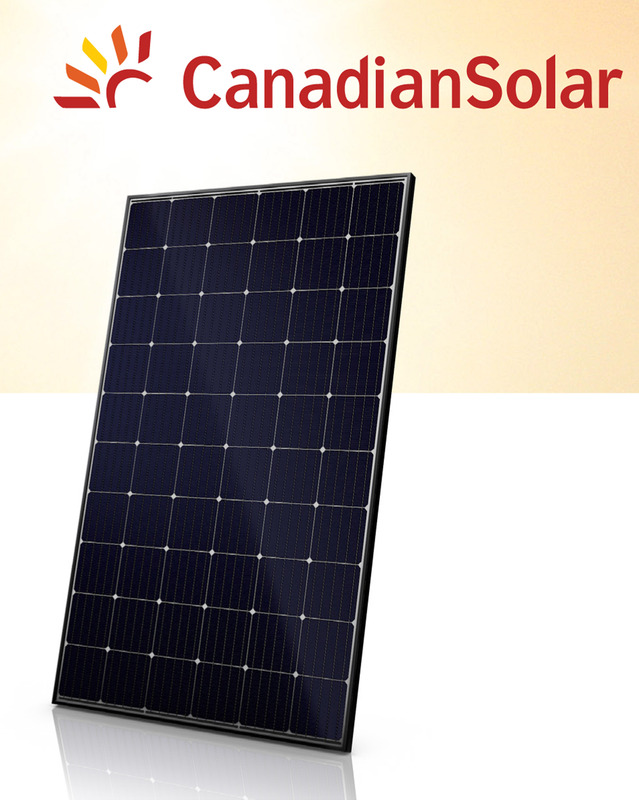 Canadian Solar‘s modules have significantly raised the standard of module efficiency in the solar industry. They introduced innovative five busbar cell technology, which demonstrates higher power output and higher system reliability. Worldwide, our customers have embraced this next generation of modules for their excellent performance, superior reliability and enhanced value.